Check the baggage size restrictions on Loganair operated Flybe flights before you travel. Struggling to fit everything you need within Loganair's baggage allowance? Then ship your luggage with Send My Bag, instead. Get a quick quote now. 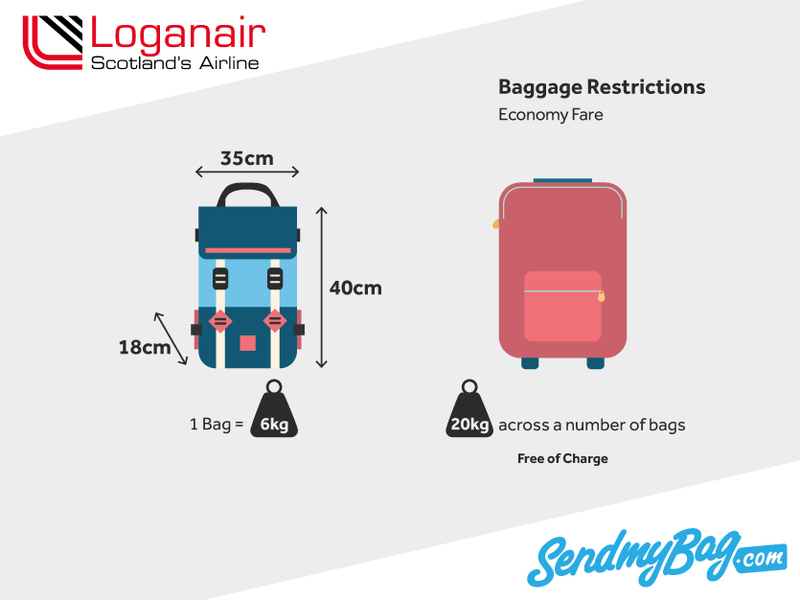 Loganair allows Fly and Fly Flex passengers to carry one item of hand luggage weighing up to 6 kg only and with maximum dimensions of 40 x 35 x 18 cm (including handles and wheels). Fly Flex + passengers may bring one 6 kg bag, plus a laptop. Fly and Fly Flex passengers may check up to 20 kg across a number of bags. Fly Flex + passengers may check 30 kg. Passengers can only check 15 kg on inter-isle services and on routes to /from Barra, Tiree and Campbeltown. However, if these weight allowances are exceeded, baggage will only be accepted if space is available on board, at an additional charge of £10, with a further £10 charge for any additional items of luggage. Exceptional baggage such as sports equipment and musical instruments can be checked into the hold. However, these will only be accepted if space is available. If no space is available, the items can be carried on the next available flight, and the passenger is responsible for collecting the equipment from the airport. Charges apply for the carriage of such items. These vary according to item type. Golf clubs, for example, incur a charge of £10, one way. However, only a maximum of eight sets of golf clubs can be carried on one flight, which has implications for large groups travelling together. Looking for Loganair sized hand luggage?